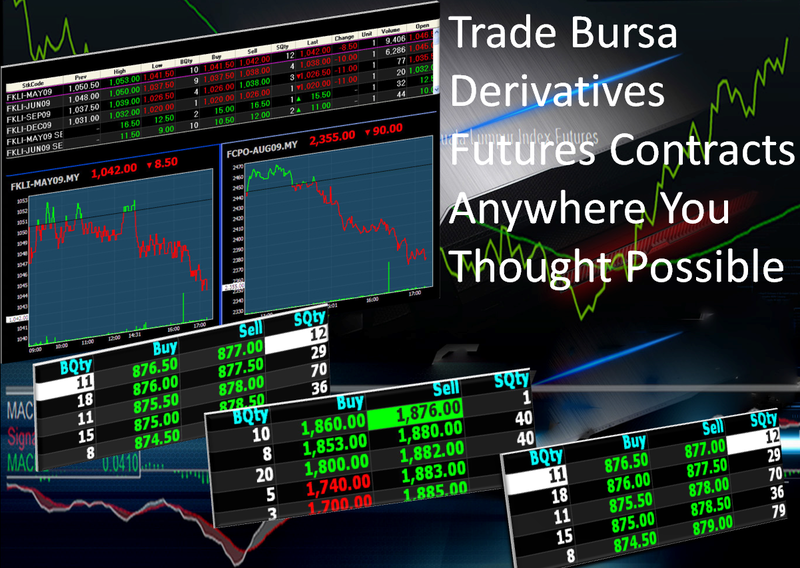 It is vital for you to understand the contract spec of each Bursa Derivative product you are trading with. 20% per trading session for the respective contract months except the spot month contract. There shall be no price limits for the spot month contract. There will be no price limit for the second month contract for the final five Business Days before expiration. Cash Settlement based on the Final Settlement Value. The Final Settlement Value shall be the average value, rounded to the nearest 0.5 of an index point (values of 0.25 or 0.75 and above being rounded upwards), taken at every 15 seconds or at such intervals as may be determined by the Exchange from time to time from 3.45:30 p.m. to 4.45:15 p.m. plus one value after 5.00pm of the FBM KLCI on the Final Trading Day excepting the 3 highest and 3 lowest values. When at least 3 non-spot month contracts are trading at the 10% Limit, the Exchange shall announce a 10-minute cooling off period ("the Cooling Off Period") for all contract months (except the spot month) during which trading shall only take place within the 10% Limit. Following the Cooling Off Period, all contract months shall be specified as interrupted for a period of 5 minutes, after which the prices traded for all contract months (except the spot month) shall not vary more than 15% above or below the settlement prices of the preceding Business Day ("the 15% Limit"). the 15% Limit shall be applied for all contract months (except the spot month) during the second trading session. First trading session: Malaysian time 10:30 a.m. to 12:30 p.m.
Second trading session: Malaysian time 3:00 p.m. to 6:00 p.m.
1st Business Day to the 20th Business Day of the delivery month, or if the 20th is a non-market day, the preceding Business Day. Crude Palm Oil of good merchantable quality, in bulk, unbleached, in Port Tank Installations approved by the Exchange located at the option of the seller at Port Kelang, Penang/Butterworth and Pasir Gudang (Johor). Free Fatty Acids (FFA) of palm oil delivered into Port Tank Installations shall not exceed 4% and from Port Tank Installations shall not exceed 5%. Moisture and impurities shall not exceed 0.25%. Deterioration of Bleachability Index (DOBI) value of palm oil delivered into Port Tank Installations shall be at a minimum of 2.5 and of palm oil delivered from Port Tank Installations shall be at a minimum of 2.31. The Crude Palm Oil Futures contract (FCPO) is physically delivered at expiry. This means that at expiry, the seller of the contract will deliver the crude palm oil whilst the buyer of the contract will take delivery of the crude palm oil. For a detailed look at the whole delivery process, please check out the FAQ here. The FBM KLCI Futures contract is a stock index futures contract that is based on the Kuala Lumpur Stock Exchange Composite Index ("KLSE CI"). The contract code that previously specified by KLOFFE is "FKLI".It is based on the 30 blue chip counter on the first board which have the biggest capitalization in our stock market. 2. What is a Stock Index Futures contract? A stock index futures contract is an agreement between two parties to buy or sell a basket of stocks that make up an index (e.g. the KLSE Composite Index) at a specific time in the future for specific price determined today. Since delivery of a basket of stocks is often a cumbersome exercise, stock index futures contracts are cash settled instead on every end of the calender month. 3. Is there only one FKLI contract traded? No. At any one time, there are always four contracts months traded with different maturity dates. These contracts are known as the spot month contract, the next month, and the next two calendar quarterly months contracts. For example, in January 2010, the four contracts available for trading are the January spot month contract, the February next month contract and the March and June quarterly month contracts. 4. What is contract value? The contract value of a FKLI contract is the price of the futures times RM50. 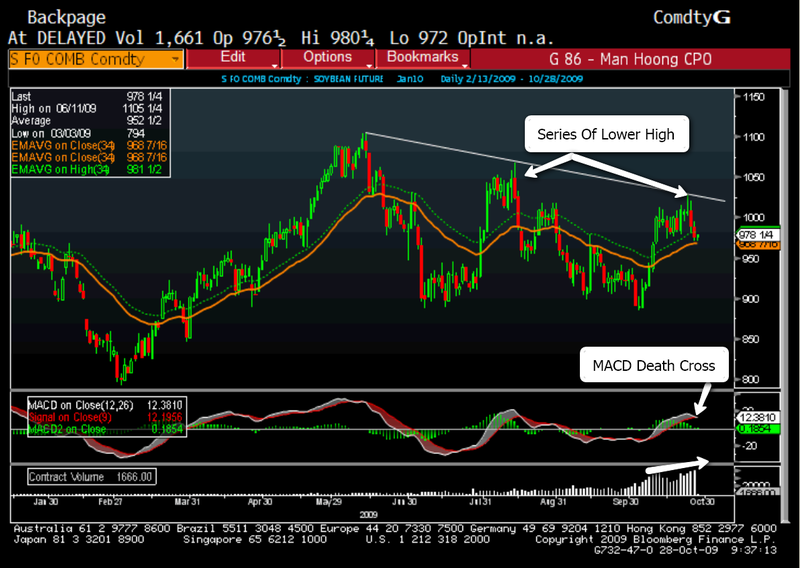 For example, if the price of the July futures contract is 1,350, the contract value is RM67,500.00 (1,350 x RM50). 5. Is short selling allowed allowed in futures? Yes, short selling is allowed in futures trading as stated on Futures Industry Act 1993. In fact, one of the strongest appeal of trading futures is that you are able to profit both bullish and bearish market conditions. 6. How much do I need to start trading in FKLI contracts? The initial margin to trade is RM4,000 per contract and is subject to margin calls every time it falls below RM4,000 for any positions still open. The margin payment is a performance bond or good faith deposit to ensure performance of the contract (i.e. cash settlement of the contract) when the contract matures. (The initial margin amount is subject to change from time to time). For FCPO, the required margin is RM6,000 per contract. 7. What about the marked-to-market process? On a daily basis, you will have to settle in cash, the daily profit or losses of your positions according to the daily change in valuation of your position at the daily closing prices of the futures. Any excess margin can be withdrawn by submitting withdrawal request form before 11.00AM on any business day and the cheque will be bank in to your account next business day. This is known as daily marked-to-market valuation. Any margin call must be topped-up by T+3 otherwise force-selling will occur. 8. Once I have bought (or sold) a futures contract, must I wait for the maturity of the contract before I can realize my profit or losses? No. You may sett off (liquidate) your position at any time by entering into an opposite transaction. For example, if you had bought (long) one contract, you only need to sell (short) one similar contract to liquidate your position. If you allow the contract to lapse into maturity without liquidating your position beforehand, the contract will then be marked to market a final time according to the Final Settlement Value as declared by the exchange. Disclaimer: Information and opinions contained in this report are for educational purposes only. While the information contained herein was obtained from sources believed to be reliable, author does not guarantee its accuracy or completeness. No liability can be accepted for any loss that may arise from the use of this article.